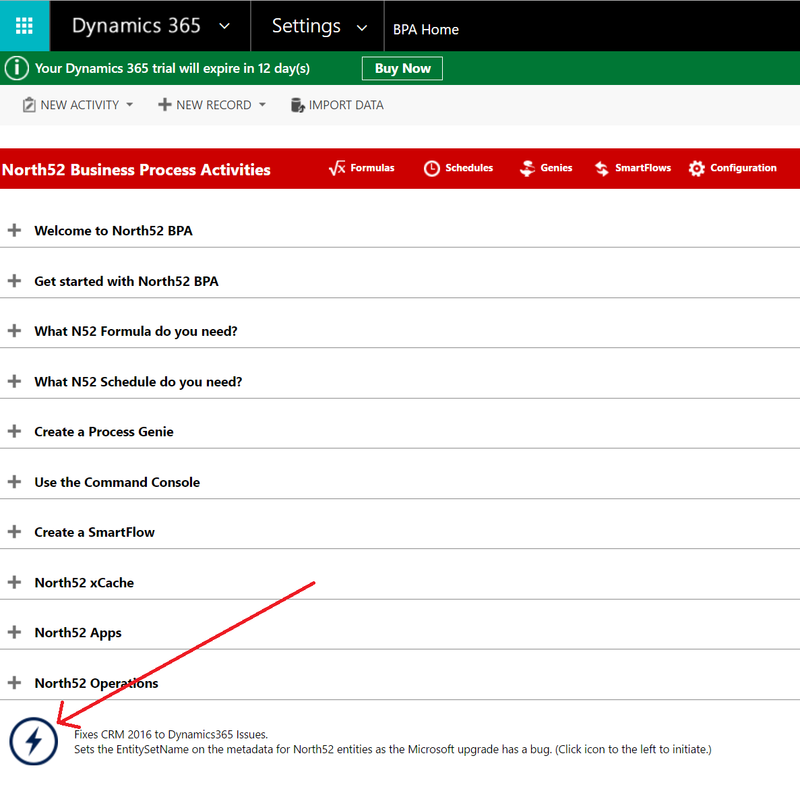 The Dynamics 365 upgrade process from Dynamics 2016 has introduced a bug whereby Microsoft do not set the field EntitySetName for the metadata of the North52 entities. The underlying issue here is that Microsoft is not populating the field ‘EntitySetName’ on the metatdata when upgrading from CRM 2016 to Dynamics365. If you use XrmToolBox to look at the metadata in your CRM system, you will see the highlighted fields below are blank.